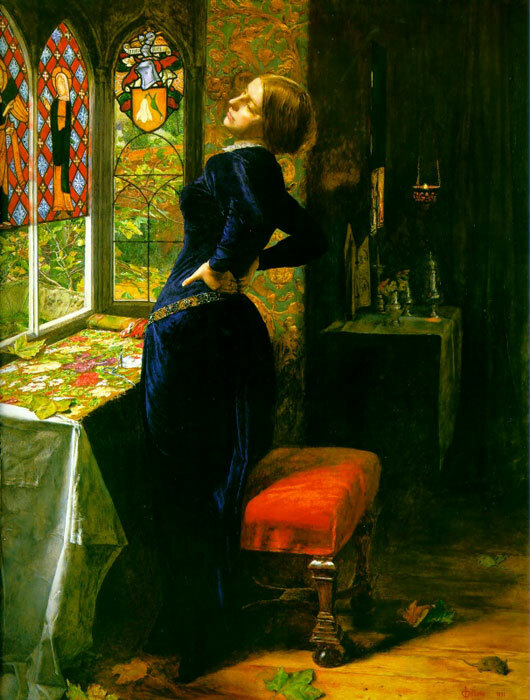 Millais achieved wealth and fame during his lifetime. Along with artist friends William Holman Hunt and Dante Gabriel Rossetti, Millais was a founder of the Pre-Raphaelite Brotherhood, espousing a doctrine of decorative naturalism with an emphasis on striking color, minute detail, and historical, literary, and biblical themes. SPECIAL NOTE : The painter will make the reproduction as close to the original oil painting as possible. If you want your painting to alter from this likeness, please email us and " Mariana in the Moated Grange, 1850-1851 " will be reproduced according to your special requirements.